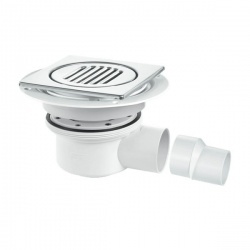 Gravity wet room waste outlet for tiled flooring. 2 part 50mm water seal trapped gully. Flow rate in excess of 40L per minute.